SAN IGNACIO TOWN, Sun. May 10, 2015–The NEBL has one week remaining in its regular season, and all three games this weekend will have playoff implications. Playoffs will tip off on Friday, May 22. The #1 seed will host the #4 seed, while the #2 seed will host the #3 seed. Both the semifinals and the finals will be a best-of-three series, with the #1 and #2 seeded teams having home court advantage. Fans are reminded that all games have a live webcast with the game scores, play-by-play analysis and the box scores. 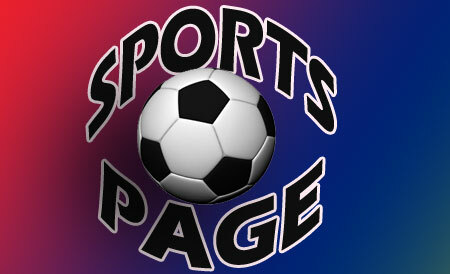 Fans can follow every game live on our webpage, as scores are in real time. The NEBL webpage also contains news, team standings and player statistics, and it can be found at nebl.sportingpulse.net. On Friday night, Belmopan Red Taigaz (7-4) traveled to the Belize Elementary Gym in the old capital to take on the Belize Yellow Pages Hurricanes (5-6). The home team, Belize Yellow Pages Hurricanes was able to pull off the victory, as they secured a 76-65 victory behind their top scorer, Ty Bradley who had the game high with 22 points to go with 4 rebounds and 4 assists. Brian White finished the night with 18 points and 9 boards, while Winston Pratt scored 11 points with 3 rebounds, and Earl Johnson tallied 10 points and 4 rebounds. In a losing effort, Belmopan Red Taigaz was led by Travis Lennen who scored 16 points with 6 rebounds, while Terrel Eskridge finished the game with 12 points, 7 rebounds and 6 assists. Farron Louriano tallied 11 points, 6 rebounds and 4 assists, and Chris Rodriguez scored 11 points, behind three straight three-pointers. The victory by Belize Yellow Pages Hurricanes on Friday night eliminated all playoff hopes for Belize City No Limit (5-7), who had one game remaining on the schedule. As a result, they opted to forfeit their last game versus San Pedro Tiger Sharks (8-3), which was scheduled to be played on Saturday night in San Pedro. Cayo Western Ballaz (8-3) hosted Orange Walk Running Rebels (1-10) on Saturday night at the Sacred Heart College Auditorium in San Ignacio Town, where they were able to snap their three-game losing streak to record the slim 63-61 victory. The home team was led by Akeem Watters who posted a double-double with 17 points and 12 rebounds, and was the only player in double digit scoring for Western Ballaz. Elvis Usher, Jr. finished the night with 9 points, 6 rebounds and 5 assists, while Keith Acosta tallied 9 points and 7 rebounds, and Elbert Ariola scored 8 points, all in the first quarter. Orange Walk’s top scorer was Randy Usher, who had the game high with 18 points to go with 6 rebounds and 3 assists; while Jason Grant tallied 15 points, 6 rebounds and 3 steals. Alton Herrera scored 10 points, while Tryon Baptist netted 9 points for the game. 1] San Pedro Tiger Sharks (8-3) – will remain the #1 seed if they can win their remaining game versus Orange Walk Running Rebels. 2] Cayo Western Ballaz (8-3) – will be the #1 seed if they can win their remaining game versus Belmopan Red Taigaz and San Pedro Tiger Sharks loses their final game versus Orange Walk Running Rebels. Cayo Western Ballaz will be the #2 seed if they can win their remaining game against Belmopan Red Taigaz. If they lose to Belmopan, they will drop to the #3 seed entering the playoffs. If Belmopan wins and San Pedro loses, all three teams will have an 8-4 record, and point differential among the three teams would be used to decide who has the tie breaker, in order to identify the top three seeded teams entering the playoffs. 3] Belmopan Red Taigaz (7-4) – needs to win their remaining game by more than 1 point, versus Cayo Western to be the #2 seed. 4] Dangriga Warriors (5-6) – must beat Belize Yellow Pages Hurricanes to clinch the fourth and final playoff spot. 5] Belize Yellow Pages Hurricanes (5-6) – must win their remaining game against Dangriga Warriors to make the playoffs as the #4 seed. 6] Belize City No Limit (5-7) – has been eliminated from playoff contention. 7] Orange Walk Running Rebels (1-10) – has been eliminated from playoff contention. The remaining three games of the regular season will be played on Saturday night. Belmopan Red Taigaz (7-4) will host Cayo Western Ballaz (8-3) at the UB gymnasium in Belmopan at 8:00 p.m., as the winner of this game will be the #2 seed going into the playoffs, provided that San Pedro win their last game versus Orange Walk. These two teams will meet in the semifinals, and the winner of this game will claim the crucial home court advantage. Belize Hurricanes (5-6) will travel to Dangriga to take on the Dangriga Warriors (5-6) at Ecumenical College at 8:00 p.m., and the winner of this game will clinch the fourth and final playoff spot as the #4 seed. For this game, the losing team will be sent home. The last game of the season will see the San Pedro Tiger Sharks (8-3) traveling to Orange Walk to take on the Orange Walk Running Rebels (1-10) at the Orange Walk Multi-Purpose Complex at 9:00 p.m., where a win by the defending champions will clinch the #1 seed and home court advantage throughout the playoffs. Belize City No Limit (5-7) has a bye this week, but they can no longer make the playoffs. NEBL 2015 – Basketball at its best! !